Looking for a light coloured comfortable nursing bra? 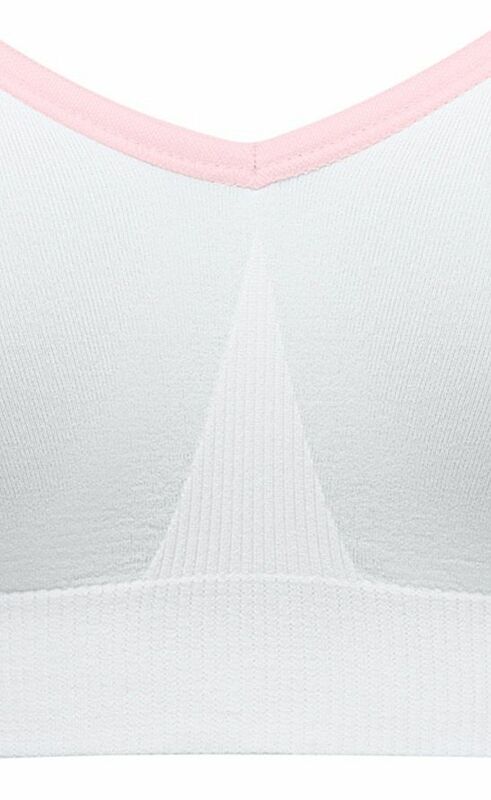 If so, then we would highly recommend the Bravado Body Silk seamless nursing bra in white-blush. Not only is it really comfortable, it also should give you a lovely shape thanks to the moulded foam cups. Furthermore, you should really like the support this bra gives you too! 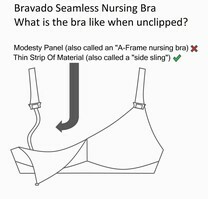 How about the fabric of this bra? Well, it is buttery soft which we think you should find lovely against your skin. The cups full drop away from the bra, so this gives your baby full skin-to-skin access, which is recommended by health professionals. 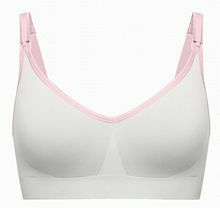 Not only is it a really nice nursing bra, it is also suitable as a pre-natal bra, this means you get longer life and better value from the bra. 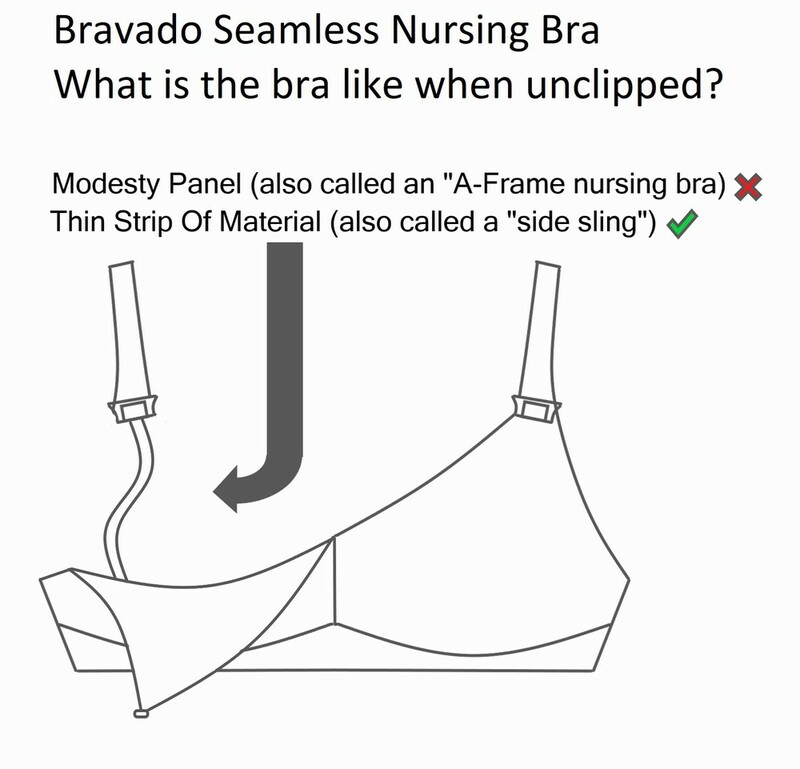 Are you unsure which size nursing bra you should pick? If so this is a great choice. Rather than picking, for example, 36E, you would pick from either small, medium, large or extra large. Each size covers a wide range of sizes so as your body changes the bra should still fit you really nicely! See the table below to choose your size. It also has easy-to-open nursing clips. Would you like a choice of colours? This bra comes in ivory, pink ice, butterscotch, black, latte and silver belle - please see our Bravado section to choose one of these options. So why is this such a good choice? 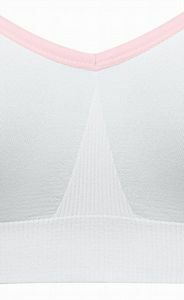 We think you will find it really comfortable, it should be easy to get a good fit and it has a lovely silky soft fabric!